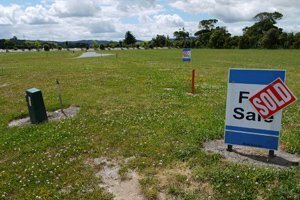 Have you taken all the legal steps required to buy or sell vacant land? Transactions involving the purchase and sale of vacant land in Ontario require a level of due diligence that might not be readily apparent simply because the land is vacant. The buyer’s guard can be lowered because there is no physical structure, which normally is where most of our attention is focused when buying property. Even without a structure there are specific areas of concern in purchasing vacant land that need to be addressed. Have you thought about the Zoning Regulations, before you purchase vacant land? For example, the land must be able to support the intended use. Zoning regulations, the surrounding area and future municipal plans that might affect the land or its intended use, all need to be investigated. Have you considered professional environmental testing before purchasing your property? As well, there are environmental concerns such as the possibility of old septic or underground fuel storage tanks and hazardous waste remnants, which of course can’t be determined from pictures or a casual inspection. Therefore, purchasers might find it advisable to have a professional environmental testing of the property completed before making the transaction. Likewise, sellers might provide such a test report to potential buyers in order to encourage the sale. Have you consulted with your real estate lawyer to include detailed terms of sale for residential, commercial or industrial properties? In addition to such considerations, Howard Nightingale will negotiate the terms of sale, if required. And of course, we will meticulously look after all the legal work for purchase or sale, including drafting the agreement, drawing up the transfer of land, registration of the deed and calculating (and ensuring) payment of the land transfer tax for vacant land for Ontario/Toronto. Additionally, as with all commercial and industrial land purchases, Howard Nightingale will include the transmission or survivorship application. If an estate is involved, Howard Nightingale will draft the executor’s or administrator’s transfer. As always, in creating and drafting these documents, we consult with our clients to advise as well as to receive instructions.